Cooking at home is on the rise, but the majority of today’s busy consumers don’t have time to spend hours in the kitchen whipping up complex recipes. It’s the concept that drove CPG brand Knorr to create its new One Skillet Meals. The meal starter kits allow home cooks to add their own protein and local produce to the dish while enhancing their cooking skills. So to show New York City residents how the new product makes cooking at home quick and simple, Knorr took a page from the on-demand trend and offered meal starter home deliveries to Manhattan residents just in time for National Farmers Market Week, Aug. 5-9. The brand rounded out the program with a pop-up farm stand at the New York Botanical Garden Farmers Market. Participating in the home delivery experience was simple thanks to Knorr’s partnership with social media delivery app, Fooji. Consumers simply tweeted #KnorrToMyDoor and the carrot emoji to @Knorr, and received a link to sign up. They could choose between two different One Skillet Meal kits (Lemon Chicken with Barley or Rustic Italian White Bean with Farro), which arrived with the dish’s recommended protein and locally grown New York produce. 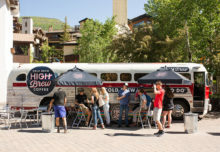 “We’re really excited about this as a way to integrate social media into the program and have it be so simple and so fun to get involved,” says Brian Critz, marketing director at Knorr. 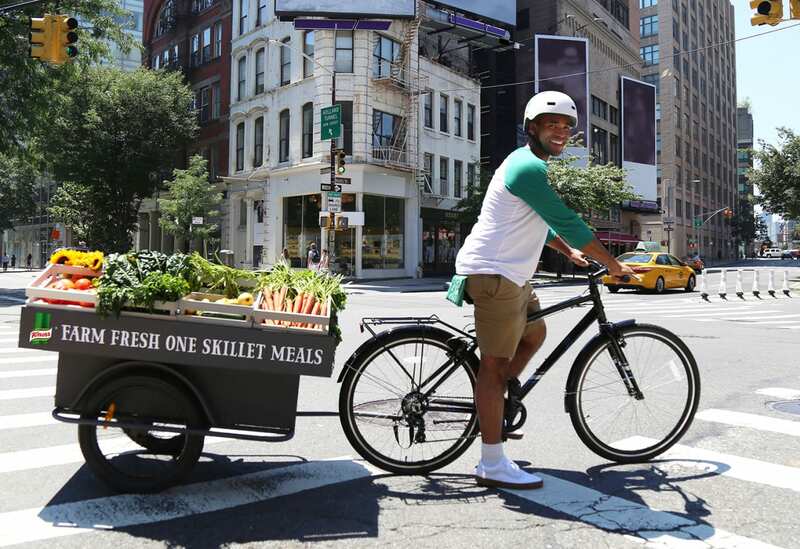 To make the delivery experience more visually engaging, Knorr deployed a fleet of custom bikes hauling mini trailers that served as branded mobile farmers markets filled with fresh produce and vibrant sunflowers. 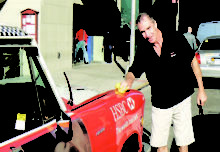 The whimsical vehicles were driven by brand ambassadors who made deliveries right to consumers’ doors—often a novelty in the Big Apple. 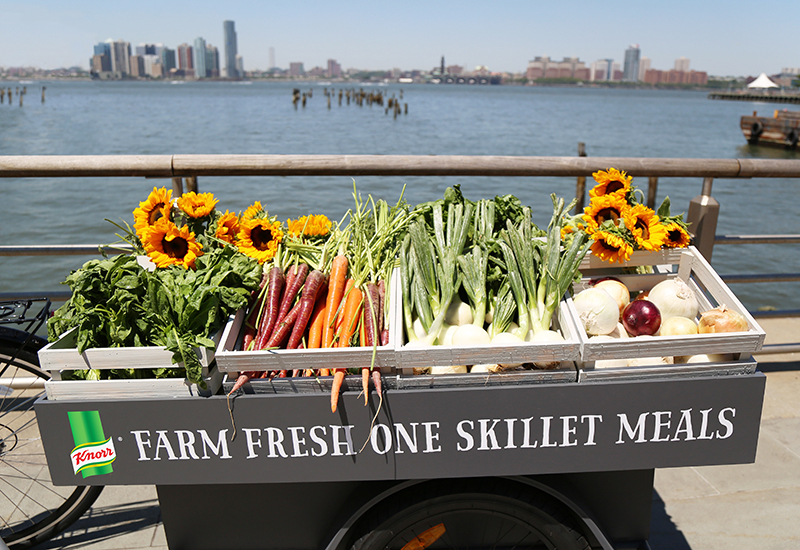 Extending the reach of the program was Knorr’s pop-up farm stand at the New York Botanical Garden Farmers Market in Bronx, NY. The Aug. 8 experience included chef demonstrations featuring One Skillet Meal kits, tastings and giveaways. “We want to get people in the kitchen and really proud of cooking at home and experimenting with Knorr,” says Critz. “So any way that we can engage with our fans with our products and help them see, firsthand, how simple and delicious One Skillet Meals can be, then we want to do that. There’s real power in getting these delicious dishes right into people’s homes and making it as easy as possible to cook with the products we’re so proud of.” Agency: Edible, Inc., New York City.